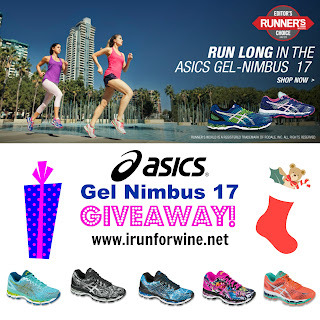 For my third Favorite Things giveaway, I am bringing you my all time favorite running shoe, the ASICS Gel Nimbus 17. I started running in the Nimbus 13 and have owned every version of it since. 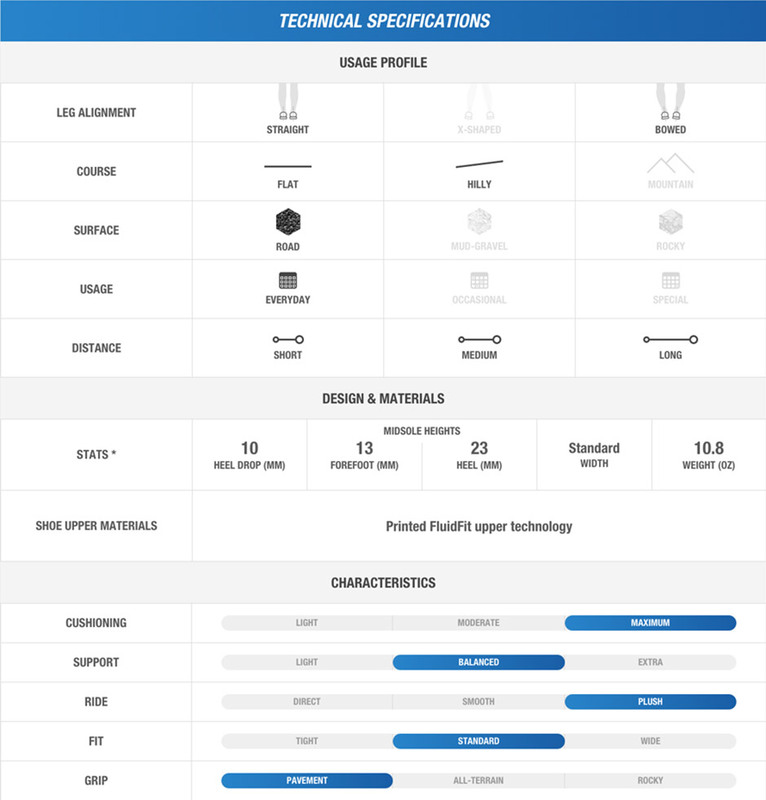 The shoe has evolved over the years to what I think is the perfect running shoe and if you don't believe me, Runners World awarded it the 2015 Editors Choice. 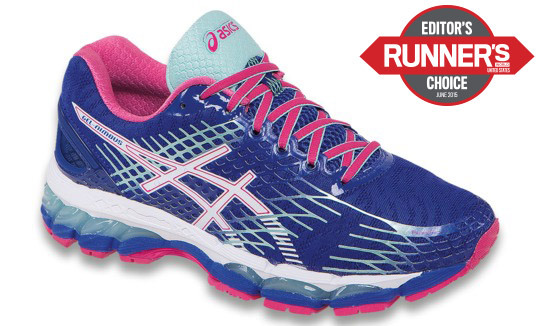 The Gel Nimbus 17 went through a major overhaul from the previous model. The shoe was built specifically for neutral runners and underpronators and has gender specific cushioning. The women's model features a lower density top layer in the midsole, allowing female athletes to better enjoy the benefits of midsole compression. The ladies version also has 3mm of additional height to help relieve Achilles tension. The Nimbus 17 is the lightest Nimbus to date, weighing in at only 8.8 oz for ladies and 10.8oz for men. It's the best of both worlds, a cushioned lightweight shoe. This is all thanks to FluidRide® - which provides the ultimate combination of bounce back and cushioning properties with reduced weight and exceptional durability. The Nimbus 17 also offers Rearfoot and Forefoot GEL® Cushioning Systems, which reduces shock during impact and toe-off phases. I am giving away 1 pair of ASICS Gel Nimbus 17 as part of my Favorite Things giveaway. Let me know in a comment below what your first running shoe was. Be sure to track your entry through the rafflecopter widget below. It will also open up additional ways to gain entries into the contest by visiting ASICS on Twitter and Facebook. - and be sure to check out their BESTivus holiday promotion which began today! ASICS will offer one item each at a drastically reduced price for the next 12 days. Day 1 is Mens and Womens running jackets for up to 65% off, including my favorite, the Storm Shelter! Also be sure to check out the rest of week 1 Giveaways! Asics gel noosa were my first pair. My first running shoe was a Mizuno. Have had many since then. Hoping Asics will help me run again after my Achilles surgery. My first shoe was Asics but I now run in Brooks. Most others give me blisters. I'd be willing to try again though. Asics Nimbus were my first pair. Loved them!!! Mine we an Asics shoe as well. I have no idea the name but being that it was in the aught-2000's the shoe was bulky, white, and the Asics logo was blue. I actually only donated those shoes about 8 months ago. I found them collecting dust in the far back corner of my closet! My first pair of running shoes were brooks...they were heavy but I loved them at the time! A pair of Nike shocks. I probably could have made a matter match, but live and learn. I think my first pair of running shoes were Nike. I think it was a pair of Saucony brand. This girl just need a pair of good shoes. I had an old pair of Nike running shoes back in the day, they served me well but now I'm sure I'd hate them if I had to wear them! I love my Asics now! my first pair of "running" shoes were actually Puma tennis shoes... I know!!! Yes, mine was a Nike but that was so many years ago I don't remember which one. I know I am excited at the thought of winning a pair of Asics..yay! Thank you! My first running shoe was a gel-kayano! Love the ASICS line! My first serious pair of running shoes were Gel-Nimbus. Everything up until then was just the cheapest pair off the sale rack. My first pair of running shoes were New Balance. My first pair of running shoes 23 yrs ago were Nike. I cant remember the style just the colors, white with gray, purple, and teal. My first pair of running shoes were reeboks in 1990. A pair of Reeboks I think. It was so long ago, I honestly can't remember! I can't even recall, I've had so many shoes but they were possibly Reebok. My first pair were New Balance. My first and only pair of running shoes were New Balance. i think my first pair were nikes. Brooks were my my firsts. Saucony Hurricane 15, I only wish I could find them again! My first pair of running shoes were Nike. :) white and blue. My first pair was New Balance. my first pair were the reebok air. the super light shoes. I think they actually were Asics. Man that was too long ago! Probably some random inexpensive sneaker! I had New Balance sneakers. my first pair of running sneakers were nikes. My first pair were Brooks. I've gone through several brands since then. They were the Saucony Ride 4 I believe.